People who suffer from nut allergies can develop a severe, potentially life-threatening allergic reaction. If someone has a nut allergy it is not just eating nuts that can cause a severe reaction, just being touched on the skin or smelling the breath of someone who has had nuts or a product containing nuts can trigger anaphylactic shock (which can cause breathing and swallowing difficulties). We cannot have nuts in school in any form. So please can we ask that you have no nut products in the lunch boxes or brought into the school as treats. This list is not exhaustive, so please check the packaging of products closely. We appreciate that this is an additional thing to check and we know that you recognise the importance of it. 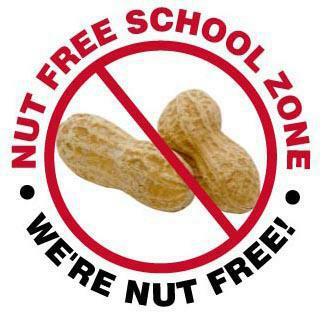 We do have to insist we are a nut free school. I know if this was your child you would expect that we all help, especially as it is a life-threatening condition.